To be attractive and useful, it is important to change from time to time according to the demands and trends. As business technologies keep getting sophisticated over the time and markets and their requirements also keep shifting as fast as a wink of an eye. Bringing about changes in your business processes according to the latest technological demands is a must if you don't want to lose where your competitors are gaining. Adaptative specializes in best in class web maintenance solutions. 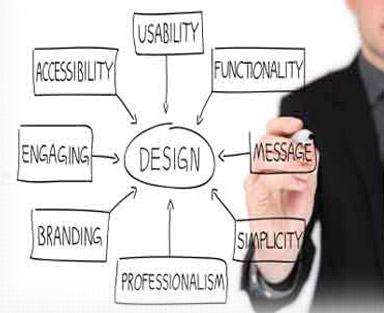 Our expert team thoroughly evaluates the technology and information architecture on which your website is currently based and at the same time we undergo an in-depth analysis of your business needs and processes to estimate the suitability of the technologies according to your business requirements. We work in an entirely collaborative system in which our specific teams dedicated to various different technologies and work areas like business assessment, designing, development, and marketing etc. work in partnership with you to upgrade your system, site or application continually in order to enhance your business and bring it mainstream with futuristic businesses giving you an edge over your competitors and others in your business niche. We look to work in perfect harmony with the applications on which your business processes are currently working to bring about maximum improvement and fix all your uses with propriety. Taking a look at the technological needs of the day, you need something that work on most effective working mechanism and offer immediate results and you get best working quick fixes to any issues emerging from time to time. We look to have a proper maintenance contract with you in order to administer every process in most systematic manner and solving all the complications without much struggle. So, what you get in our Comprehensive Application Maintenance Process? On the basis of this process, the cost of maintenance is well understood. With this process, one can easily make out if the maintenance cost will be higher than newer development processes. It also helps in realizing if the system architecture will work properly in terms with the new requirements or it will be a failure. Finally, on the basis of these results, we get better clarity of thought to move toward the implementation of the right maintenance program for your system. The code that we provide are mostly reusable, thus they help you reduce your developmental cost. What makes Adaptative different and gives you better advantage in partnering with us? As we handle the entire analysis, maintenance and developmental processes, thus, your team gets to focus better on other important areas. We offer faster support solutions and handle your issues on the basis of their criticality.